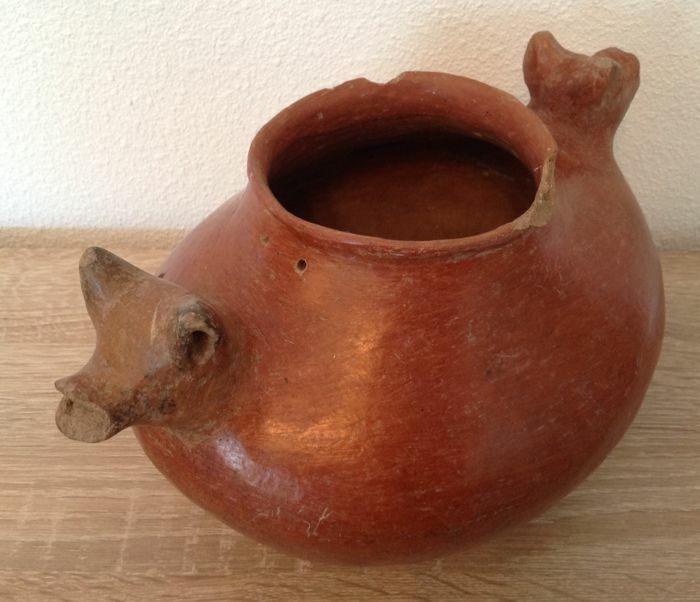 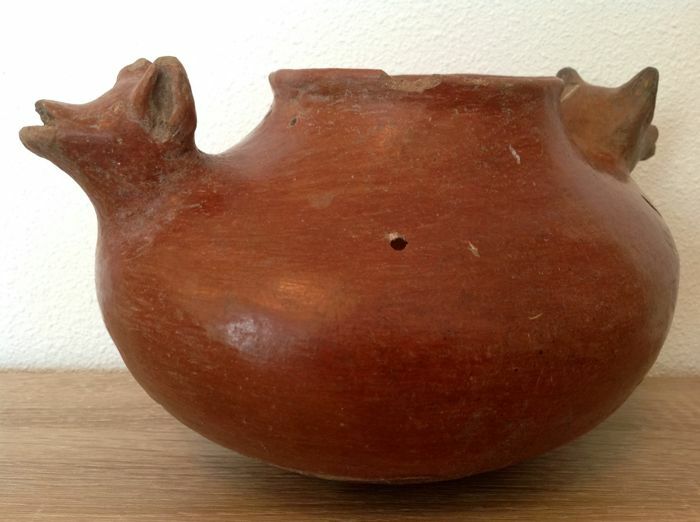 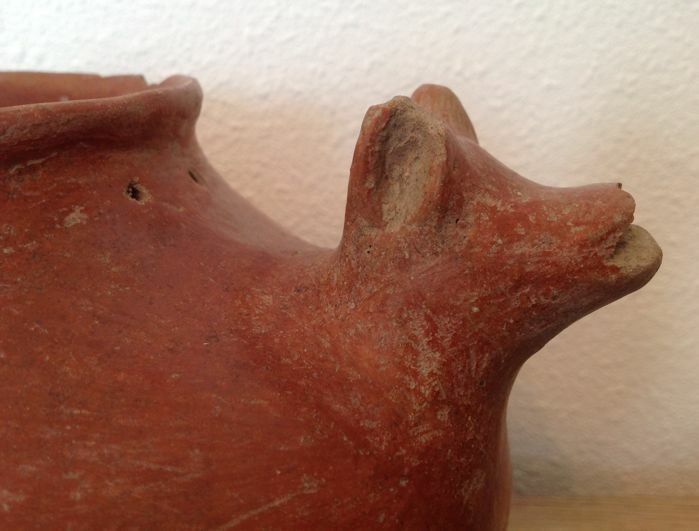 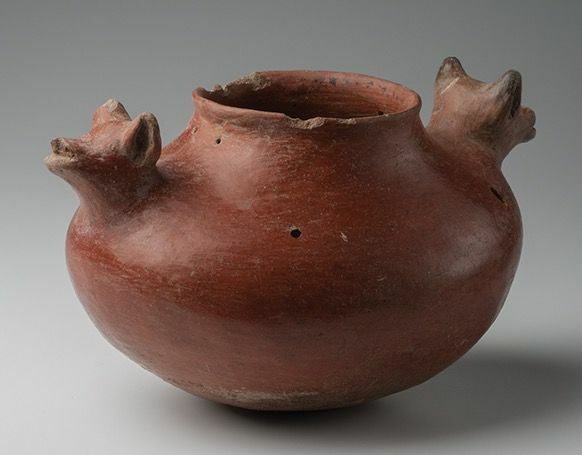 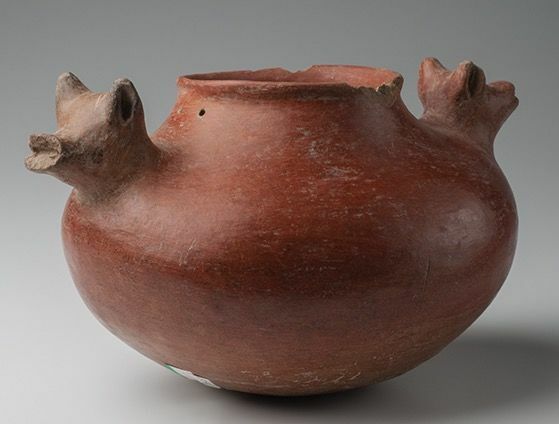 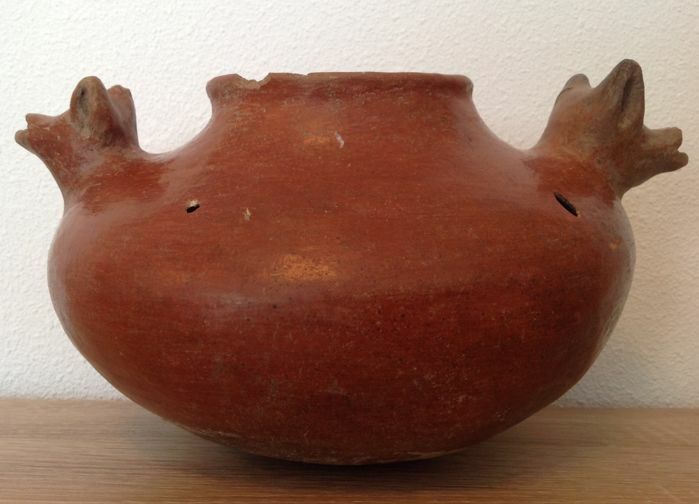 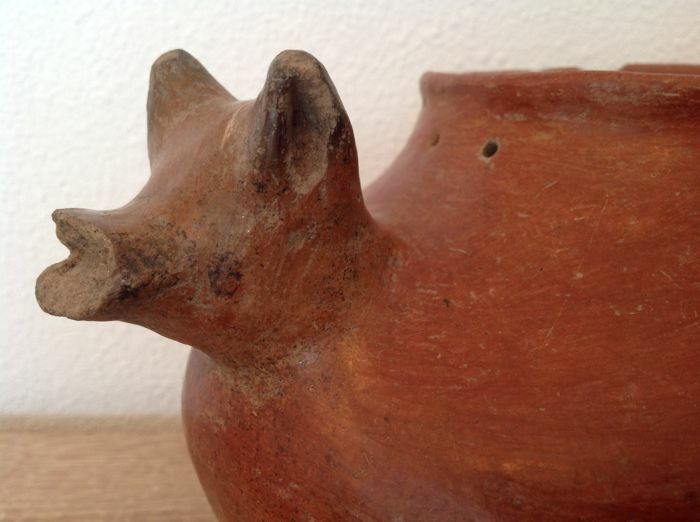 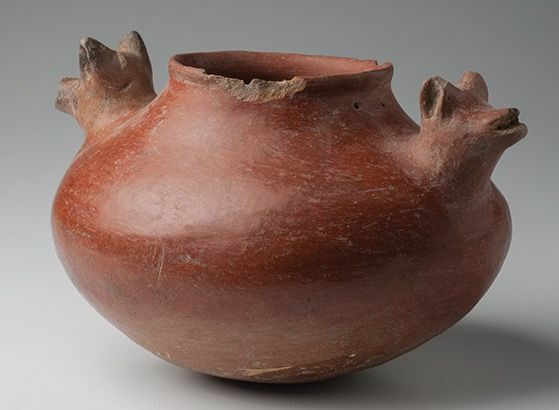 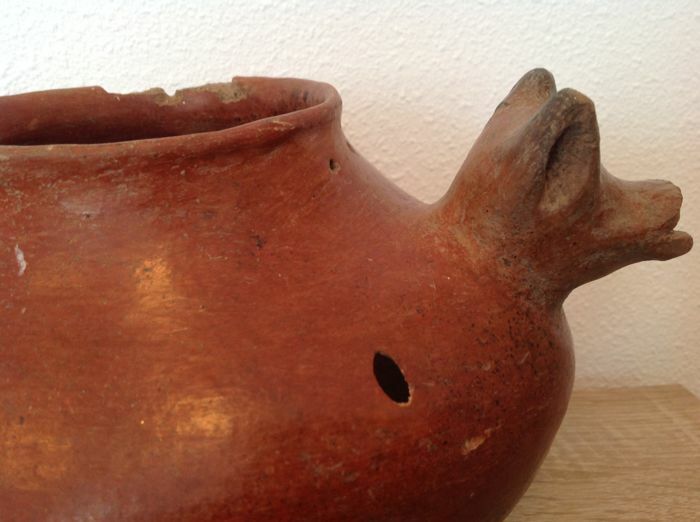 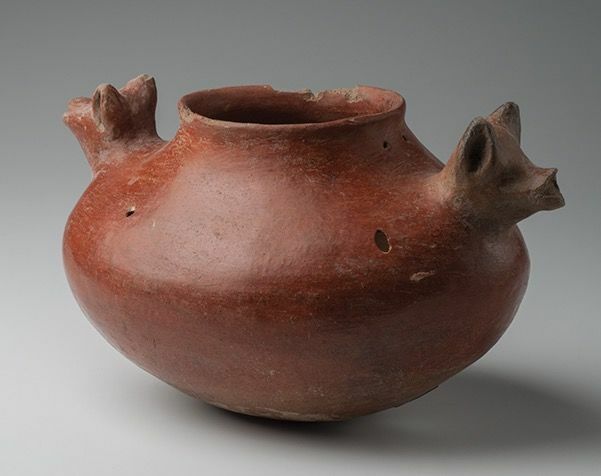 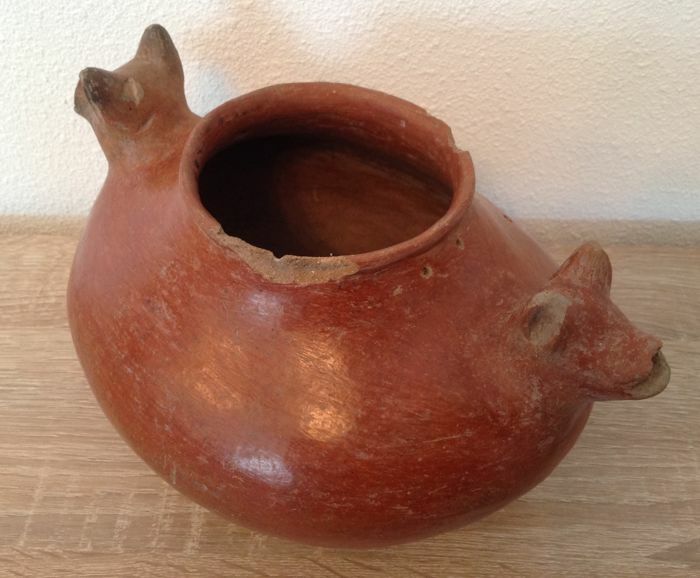 Large Pre-Columbian Colima redware pottery double headed dog ceramic. 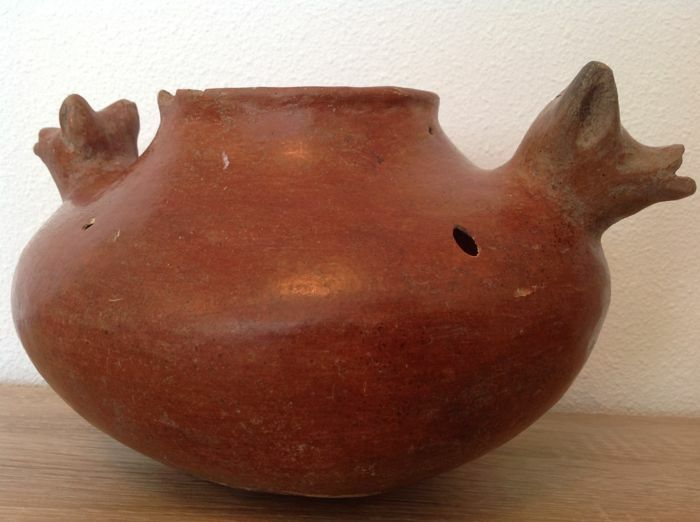 A double set of ancient drill holes at the rim, possible for a cover attachment. 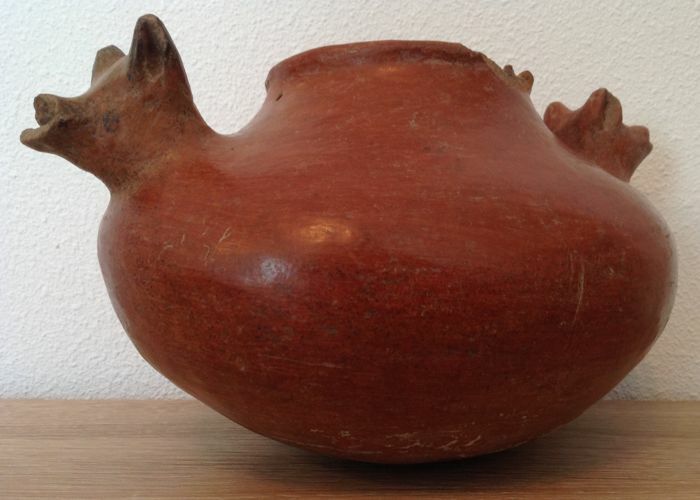 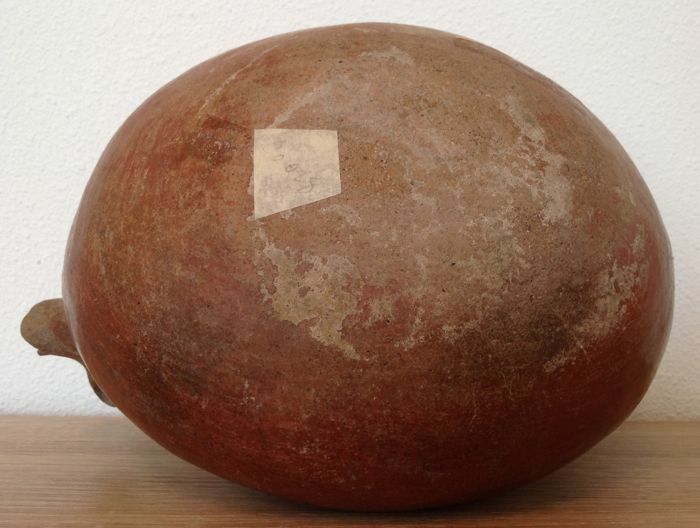 Dimensions: 26 cm wide - 14,5 cm high. 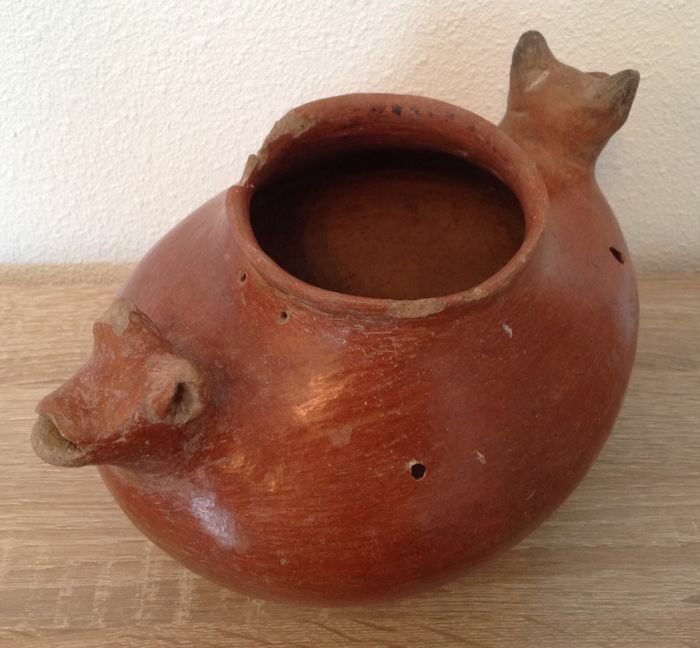 Condition: very good, with two small probe holes in the body and some chips on the dogs ears, mouth and rim chips.